As a pediatrician and host of a parenting & kids’ health podcast, I come across a lot of parenting stories. Some are cute. Some are funny. Many, especially those I encountered personally when I used to work in a hospital, can be heartbreaking. But few stories have ever stopped me in my tracks, leaving me both stunned and inspired, promising myself to strive to be better tomorrow. What follows below is a story that struck me the moment I read it because—I’m ashamed to admit—I’ve experienced the same feelings as the writer. I’m willing to bet that you have, too. This is “Father Forgets,” by W. Livingston Larned. It was written in the 1920s and some of the language may seem a bit outdated, but the message is evergreen. Read it and see if this message resonates with you—and if it does, I offer my own suggestions on how to parent differently below. You might not have had a day in which you snapped at your child as much as the author does here. But have you ever had a hard day, or even just a hard hour before bedtime, maybe you weren’t quite the mom or dad that you wanted to be—and then when you go in to check on the kids before you go to bed, they’re peaceful, angelic, beautiful…and you’re struck with a pang of guilt? I know that I have. I don’t know about you, but I know that I’m not perfect. I make mistakes. I might get grumpy when I’m hungry or tired. There are things that I get wrong, and things that I know that I should do to make my life better, but I don’t always act on them when I know I should. Think of how often we want our kids to be perfect. Sure, we have to guide them and teach them. We can’t let everything slide, let every misdemeanor go by unnoticed and unaddressed. If we did, our kids might never learn right from wrong, might not become the best versions of themselves. But if we who are adults, who’ve had decades of experience in life, if we are allowed to make mistakes, to act out at times, to learn and move on, then our kids—who are going through all of this for the first time, with much less history and understanding of themselves to draw upon—then they are certainly allowed some leeway. Remember to measure your children by their own yardstick—especially when realizing that we don’t always measure up ourselves. 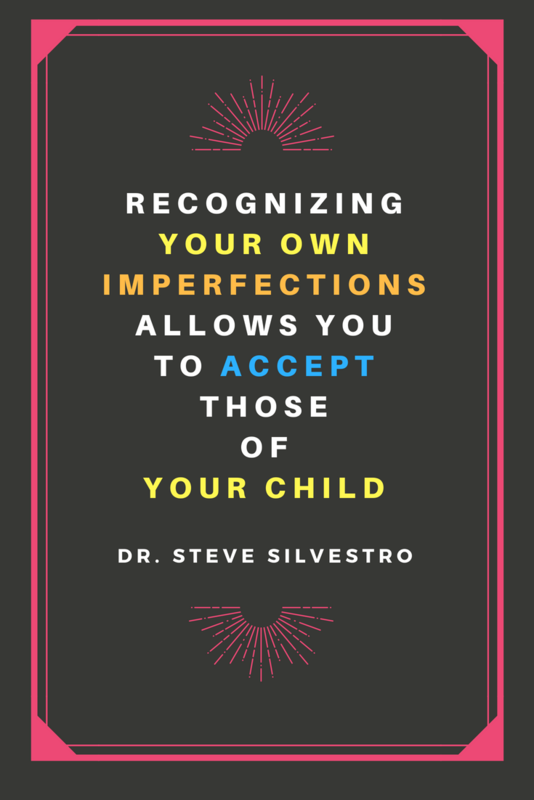 Recognizing your own imperfections allows you to accept those of your child. There are times that your child might misbehave or give you a bit of attitude, but you’re able to keep your cool and respond calmly in the way that you really want. But then, as the attitude keeps coming, you’re on your last nerve and just done with it. You snap. Your voice is raised. Tempers flare and maybe tears fall—but your child gives in. You’ve won. If your temper flares or you make idle threats to end an issue, then yes, you end that problem in that moment. But more importantly, your child walks away with a lesson you didn’t want to teach—that getting angry is the way to solve problems. This isn’t to say that you’ve got to keep your cool every moment of every day with your kids—that’d be inhuman. But like the father in the story, it’s easy to treat each little infraction, each interaction, as a one-off battle for us to win…without looking at the overall mission of raising our kids. When that big-picture, overall journey of teaching your kids to be good people—when we can keep that in mind, then we naturally gravitate towards patience, resilience, and love. When it comes to parenting, realize that winning the skirmish doesn’t always equal “winning” overall. When your child misbehaves or doesn’t live up to your expectations and you end up chastising them, think of why you’re doing so. Is it for their own good or for yours? Hey, this whole parenting thing isn’t easy. I know that firsthand. Not only do you need to figure out your own life and encounter your own practical and emotional challenges each and every day…you’ve also got to raise a human. No small feat! Sometimes we just want some goshdarn peace and quiet and for things to go smoothly. But remember that every interaction with your child is potentially providing a lifelong lesson—and the thing is, you have no idea which interaction is going to have the most impact. So when you feel strong emotions swelling up inside you, it’s helpful to step back and ask yourself: “Is this for me or for them?” If you realize you’re responding for your own benefit, then try to find another way—a better way—you can help yourself. Walk away. Meditate. Figure out and practice something that you can do in a stressful moment to help you feel better so that your kids don’t have to feel the brunt of it. 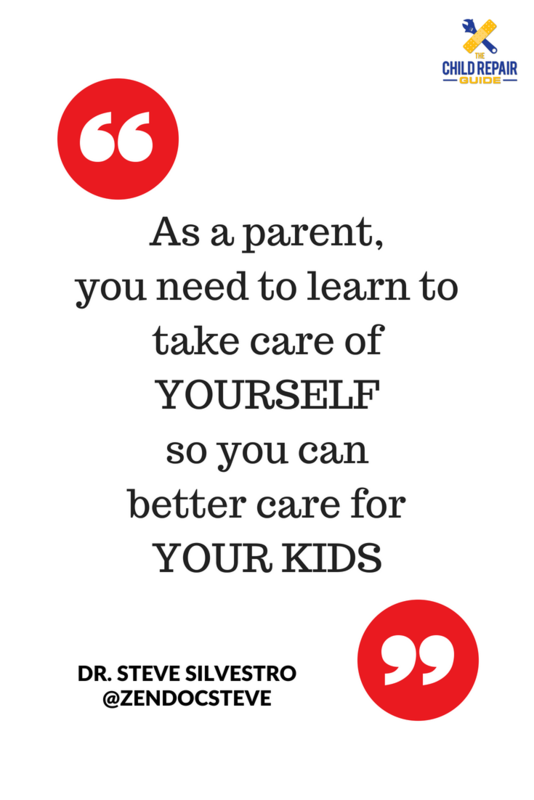 You need to take care of yourself so that you can better take care of your kids. The pang of guilt that hits you as you stand next to your sleeping child’s bed feels pretty terrible, doesn’t it? It’s easy to be overcome with a spiral of destructive thoughts that you’re a terrible parent, that you’re screwing your kids up, etc. But pangs of guilt can be useful as long as they lead to change. Luckily, tomorrow is a new day—a new opportunity to be the person that you want to be and build the relationship that you want with your child. Of course, we can’t always wait for tomorrow—we can’t let each day slip by before we really start paying attention to what we’re doing and the choices we make. But tonight when you stand next to your child’s bed—or right now as you read this—choose to make this the moment that changes everything. Turn your thoughts and feelings into action. 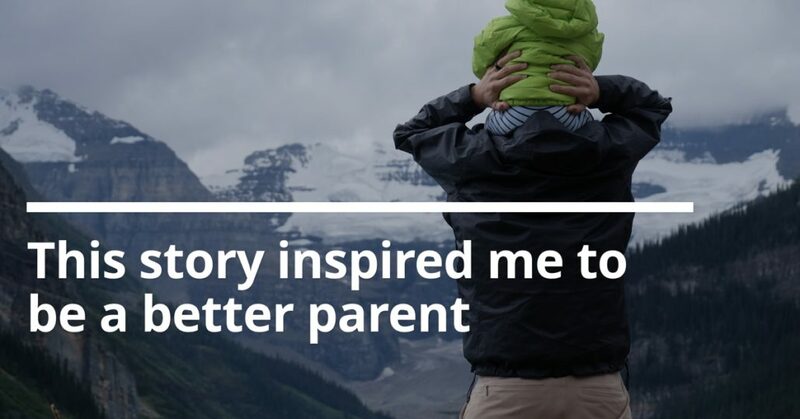 If you’re ready to start taking action, but aren’t quite sure how, or maybe you want some guidance and support as you become the parent you want to be, my Mindfulness for Parents Online Course is the best place to start. 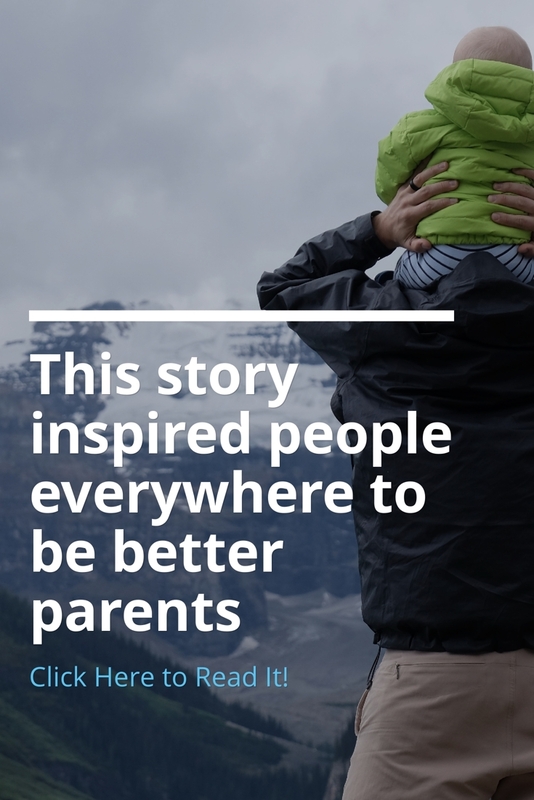 It’s packed with lessons and exercises that have helped parents around the world learn tools to better take care of themselves and to teach those skills to their children, helping their families for years to come. This story stopped me in my tracks when I first heard it. But I’m inspired to now step forward with a new mindset—and I hope you are, too.